It's a revolution: A post revolution post! Swartland Revolution, the departure point, not the destination! 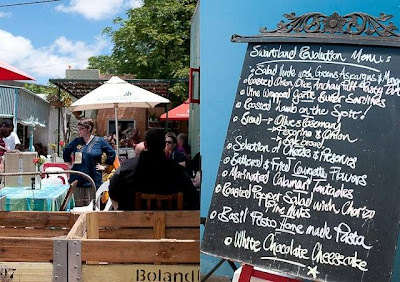 The inaugural Swartland Revolution took place in the small town of Riebeek Kasteel over the weekend of 12 -13 November 2010. Just over 150 revolutionaries rocked up to celebrate and enjoy the unique wines, food and atmosphere of the Swartland and its people. 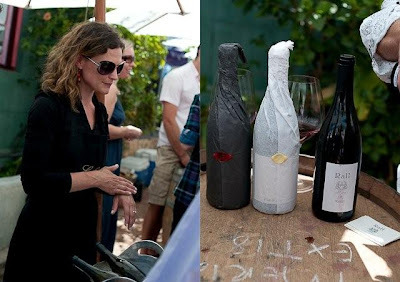 Opening the event was Riebeek locals Chris and Andrea Mullineux who conducted a tasting with French winemaker, Stephane Ogier, who guided attendees through 8 of his acclaimed Northern Rhone wines, with a focus on the special terroir that goes into them. 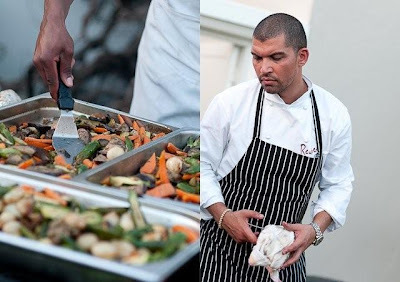 Guests then made their way to the “Ou Pastorie” at Kloovenburg, where celeb chef Reuben Riffel and his team was already braaiing up a storm. The menu included 5 glorious salads, mielies and potatoes on the braai and a variety of lamb, beef and chicken delicacies as well as pork belly that melted away in your mouth and organic Namibian patties that were a big hit. Pair that with some of the Swartland’s best wines flowing freely and the sounds of the Kitchen Jamming Blues band in the background and it is easy to understand why the party carried on well into the night. Saturday morning, after Babbelaas burgers (a local favourite) and some strong Origin coffee it was time for The Eben and Adi Show, moderated by a very entertaining Tim James. 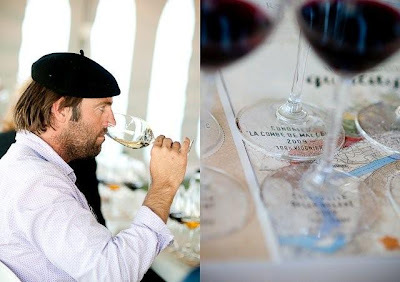 Eben Sadie opened the show with a cartwheel (the result of a bet he lost after a few glasses of wine the night before) and showcased the different components of his acclaimed Columella, Syrah from granite, clay and slate soil, as well as a blend, all from the 2010 vintage. 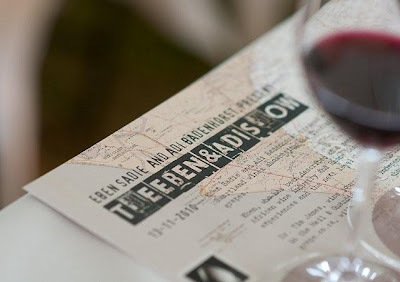 Adi Badenhorst then showed seven components of his Badenhorst white blend, focussing again on the soil and terrior where the vines grow. 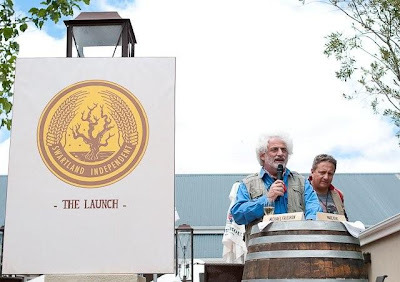 Then, with complementary Riedel glass and some Bollinger bubbly in hand Michael Fridjhon launched the Swartland Independent and the SA Sommelier of the Year award. For lunch the team at Bar Bar Black Sheep prepared a feast that had guest mesmerised. The menu featured everything from super salads to vine wrapped garlic butter sardines, lamb on the spit, a selection of homemade breads, preserves and cheese to basil pesto pasta and white chocolate cheesecake for desert. After lunch it was time to auction off some rare items donated by the various wineries involved. Proceeds will go to a Swartland based NGO (tbc). 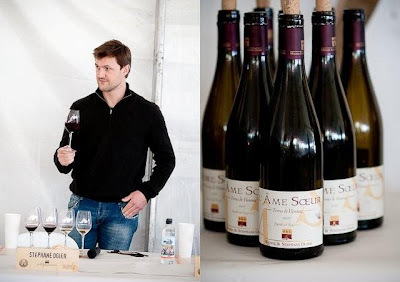 One Case of “OUWINGERDREEKS” by The Sadie Family Wines sold for R5000. One lucky couple bought an intimate dinner for two in the Mullineux wine vault (wines included) with a wine hamper to take home compliments of Mullineux Wines and Bar Bar Black Sheep for R4000. 5L of 2007 AA Badenhorst Red Wine was auctioned for R4500. 3L of 2009 AA Badenhorst White Wine sold for R3800. A 500l Saury barrel went for R10 000. And a 600l concrete egg, filled with Sadie and Badenhorst Chenin for R40 000. Eager guests placed bookings for all 600l of the wine from the buyer. You can follow this world first initiative on Twitter @silwervis. And then we spread the joy with the Real Men (and women) Ferment Wild open tasting. At R50 per person this element of the programme was more accessible, and with 22 local producers showcasing their natural wines it attracted a lot of attention. 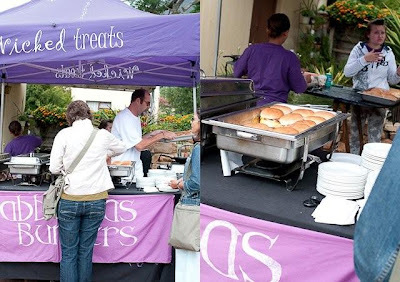 An estimated 600 people attended the lively tasting in the Short Street Square. 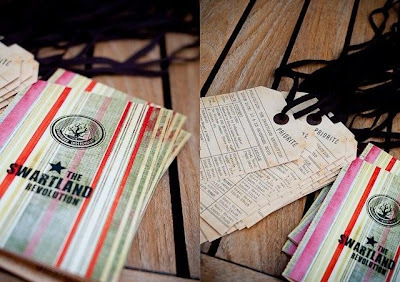 With the raging success of the inaugural Swartland Revolution and the overwhelming positive feedback from guests; organisers are already looking forward to a bigger, better 2011 edition.